Tuesdays in the Orthodox week, are dedicated to St. John the Forerunner and Baptist of our Lord (to use his full title). For me he is one of the most remarkable figures in all of Holy Scripture. Referred to by Christ as the “greatest of those born of women” (yet “less than any in the Kingdom of God”), he stands as the end of one Covenant and the bridge to the beginning of another. One of my favorite details of his life is that he is the first human being to show devotion to the Mother of God (“the babe in my womb leaped at the sound of your voice,” his mother said to the Theotokos in her greeting). Orthodoxy has a devotion to him that is largely absent in Western Christianity. His icon, in some forms of Orthodox tradition, is always to be found on the icon screen that frames the Sanctuary (altar area) of the Church. The Church’s devotion to St. John underscores the fact that Orthodoxy venerates saints of the Old Testament as well as the New. It is a part of Church Tradition that St. John, martyred prior to the arrest and sufferings of Christ, entered Hades ahead of the Lord to prepare the way of His coming there (on Holy Saturday) just as he had prepared the way for His coming on earth. It is a wilderness indeed that heard the crying of his voice! One of my favorite icons of St. John is also on the icon screen in my parish. There, in typical iconic fashion, the icon shatters all the limits of time and space and depicts the whole of St. John and his message in the image of a single icon. He is dressed in camel hair, the mark of his asceticism. 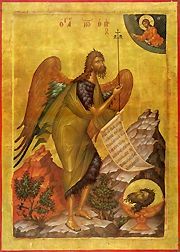 He is depicted with wings, like an angel, for he is the “Messenger (Angelos in Greek) who will go before My face.” A tree with an axe is shown marking his prophecy, “Therefore the axe is laid to the root.” His head is shown on a platter as well in one corner of the icon to note the manner of his death. Over time I have come to love this icon and have offered many moliebens (a service of special supplication) before it for particular needs in my congregation and family. I also have a few treasured stories of the icon from the lips of parishioners over the years. 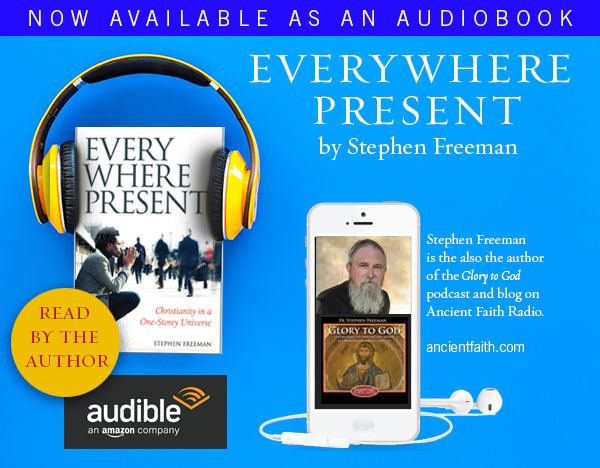 St. John, Baptist and Forerunner of our Lord, is a link of Old and New Testament – and in that capacity is among the many reminders that the faith is a fullness. The Law has not been abolished but fulfilled. We have not forgotten the Old but now see it in the fullness of its meaning. proclaiming to the world the incarnation of the Son of God! Is there a special day of the year for the Old Testament saints? My name is Ruth (can you tell I’m a convert?) and am wondering if there is a general “name day” for the OT saints. My seven year old wonders why I don’t have a saint day like everyone else in the family. Ruth, one of the Sundays before Christmas (normally 2 Sundays before) is the Feast of the Forefathers of Christ. Ruth would be remembered among those. It is your nameday, only it moves each year in relation to Christmas but is always a Sunday. Ruth, I would think it lovely to have a name day so entwined with Advent. 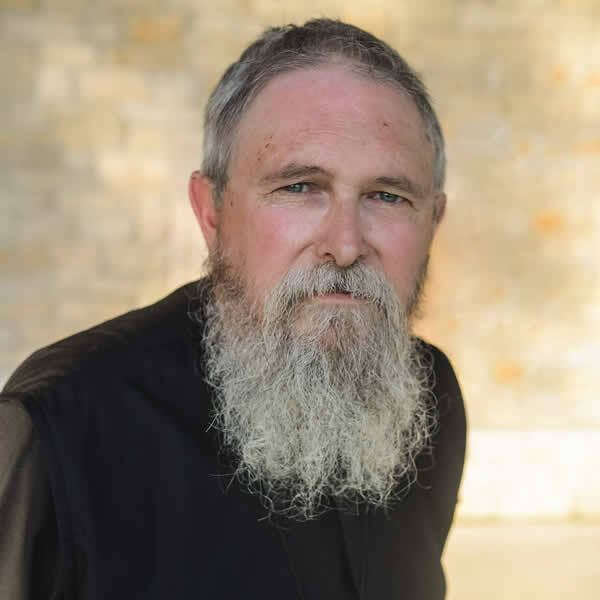 Thank you Father, I feel particularly blessed here in my home area because I am so very fortunate to attend a parish named after the Forerunner and we also have within a few hours of driving the ability to visit a monastary of the same name. The Icon that you have shown here is one of my favorites and has a special place on my personal alter.